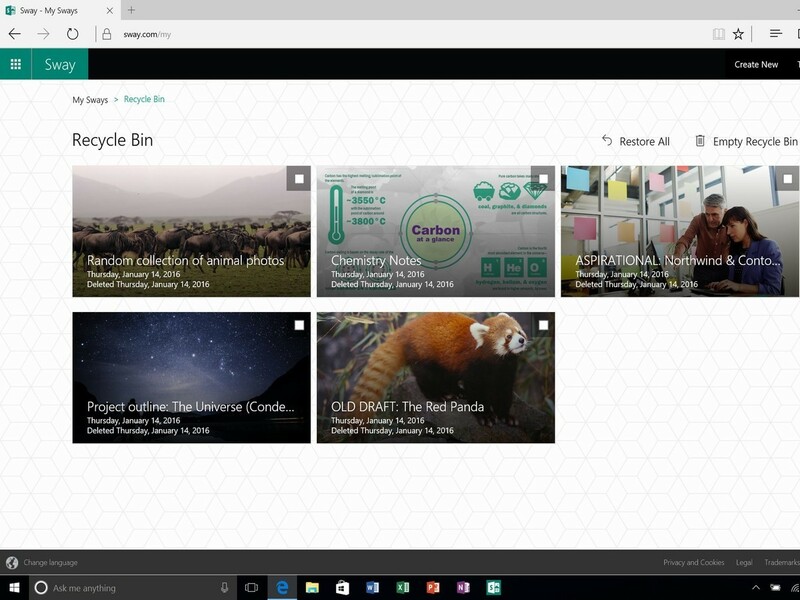 Earlier this week, Microsoft updated its Sway multimedia creation tool for Windows 10 on the PC. At the time we didn’t know what was included in the update but now Microsoft has revealed a number of new features that have been added to Sway. Other new features include the ability to drag and drop images from a PC or tablet into a Sway file, a way to nest one group of content inside another group, and a preview add-in that allows images and text from a OneNote 2016 or OneNote 2013 page to be used as the start of a new Sway page.